If you haven't noticed, ceiling installations are in, in, in! 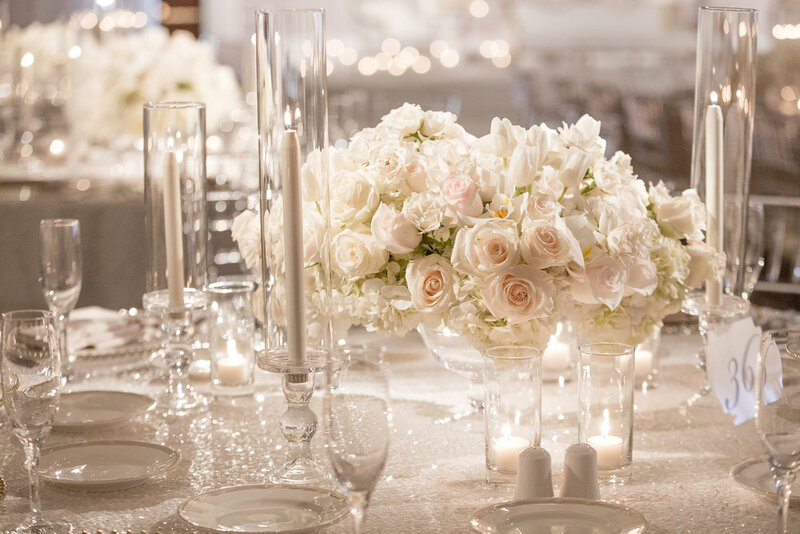 Take a look at one of our favorites from this year in all of its crisp, modern elegance! 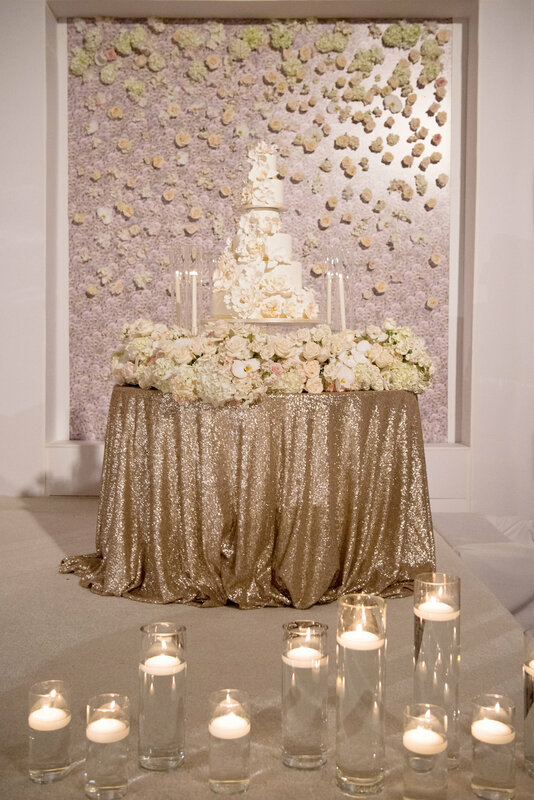 Our color palette was primarily white with touches of gold and ivory. The room was draped in a vibrant white fabric while Nicole custom created these frames on site for our special bride and groom, utilizing mixed materials of fabulous print work and real florals. While it's a bit difficult to see from far away, we carefully created a cascade effect, with petite bunches of hydrangea and roses fanning out to the floor. Due to the grand nature of the ceiling installation, we kept it simple on the main floor with super romantic low florals and sleek taper candles. 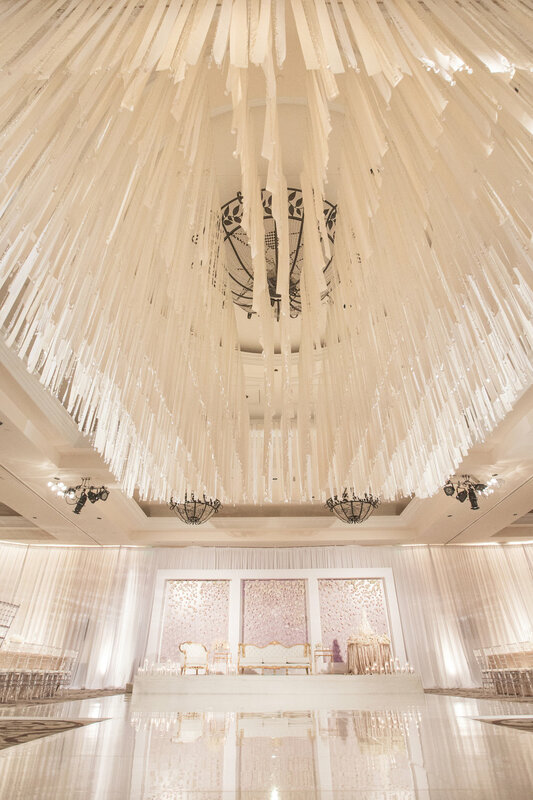 Above the elongated dance floor were thousands of strands of ivory ribbons in multiple textures, each with an intricate crystal hand-tied to the bottom. While it definitely took a while to put together, the final result was so stunning that it made it all worth it! Enjoy these beautiful pictures from Duke Photography!